Few things are more discouraging that having a beautiful garden eaten by the rabbits. Few plants seem to be off limits for rabbits and tender new growth is especially appealing. Most rabbit fences are unsightly so you have a choice of sharing whatever the rabbits like or growing plants that they don’t like. There are many beautiful plants that rabbits hop right by and here are six great picks for sunny spring garden. Please remember, however, there are no guarantees when it comes to rabbits avoiding certain plants but these six are known to be on the rabbit “don’t eat “ list. Both hybrid-bearded and Siberian iris produce a grand display of flowers in spring without attracting the notice of rabbits. Both kinds of iris produce a vast array of color combinations and on plants that vary considerable in height. 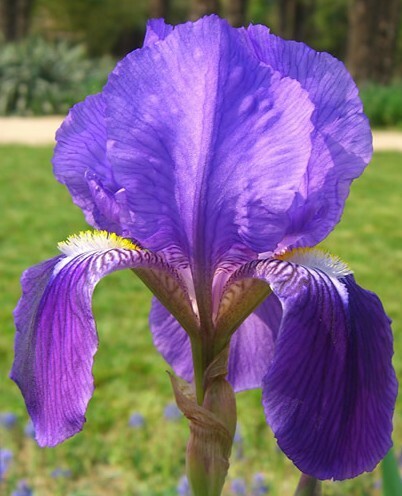 The large voluptuous flowers of bearded iris are produced just before the smaller, elegant flowers of Siberian irs that extend the iris bloom time. Propagate by division when flowering declines. Native to Europe and Asia this mound forming perennial has divided stem leaves that turn red in the fall and rich magenta flowers, 1-1 ½ inch wide. Heat and cold tolerant, plants tolerate some shade but will sprawl. Propagate by division or seed. The cascading nature of these beautiful plants has a special appeal. The soft gray-green leaves are heart-shaped and aromatic. The flowers are pale blue and carried in loose terminal racemes. 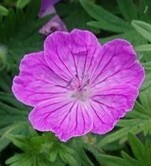 Several good cultivars are available that vary in size and flower color. 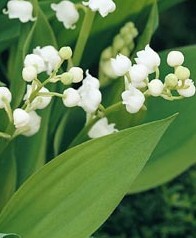 Prized for its fragrant delicate flowers, lily of the valley is a dense, fast-growing graound cover that looks good all season even after the flowers fade. The broad leaves are two to three inches wide and eight inches long. Five to eight white, nodding, bell-shaped flowers ¼ to ½ inch are produced on arching, one sided racemes. Cultivars are available differing in flower size and color. Divide in summer or fall. 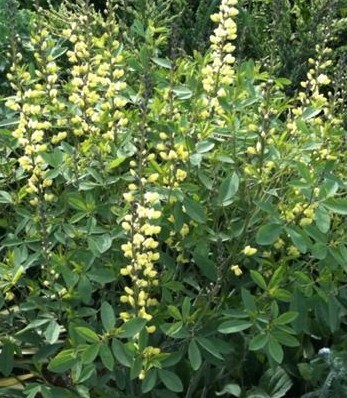 A plant of shrub-like proportions, blue false indigo produce a mass of soft blue-green foliage in spring followed by open spikes ten to twelve inches long of one inch lupine-like blue flowers. The 2 to 2 ½ inch seed pods that follow are black, large and attractive if left on the plant or used in arrangements. Propagate by seed or division in late fall or early spring. 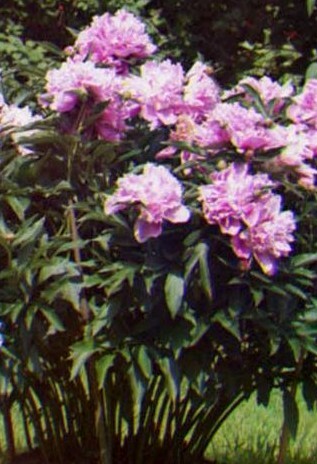 Peonies vary tremendously in form and color and make a huge display in the garden. They range in color from white throught pink to deep reds, and may be single or so full of petals the flowers flop. If you live in a warmer part of the country check with your local extension agent to determine which peonies will do well in your locale as the full petaled ones do not do will in hot climates.